In a few months, spring will be on the horizon and it will be time to get out the lawn sprinkler system and get your lawn ready for a new season. There will likely be sales during that time for lawn and yard equipment. If you are thinking about buying a new lawn mower, the early spring may be the perfect time to make such a purchase. The first thing you need to decide is what kind of mower you are going to buy. You can choose a simple push mower, a high-end riding mower, or something in-between. There are plenty of brands, sizes and styles to choose from. Top-line push mowers can cost up to around $500. High-end riding mowers will cost thousands of dollars, depending on the make and model of the mower. You also need to identify what you need from a lawn mower. If you have a smaller yard, a riding mower may be a luxury you don’t really need. After you choose between a riding and a push mower, then it’s time to look at specific models. It’s important to understand that there may not be a huge difference between brands of lawn mowers. The decision may come down to comfort level or something as simple as color. Cost is always a major factor when making such a purchase, so don’t overspend just because you think one brand of mower might be a little better than the other. If there is a significant price gap, the difference may not be worth the money. 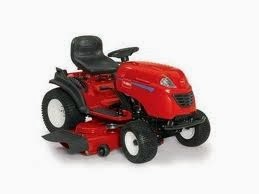 The price difference in a lawn mower is often tied to the horsepower of the mower’s engine. Larger riding mowers, like the kind used by landscapers, will likely have engines with more horsepower. Those mowers may offer more “muscle” than you need for your mowing purposes. When you visit a lawn mower retailer, be honest about the needs of your yard and what you want from a lawn mower. This will make it easier for you to make an informed decision.